Date: Friday, April 25th from 7-9 p.m. 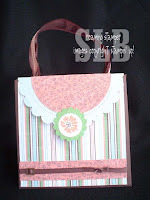 In this class you will create a cute purse album featuring the Carousel Notes, Afternoon Tea DSP, hardware, and ribbon. 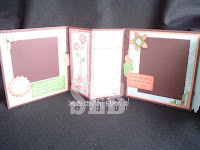 This album is great for you or Mother's Day gifts for Grandma! You will need to bring your paper trimmer and adhesive to this class. 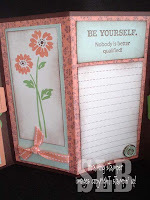 Speciality adhesives will be provided.Please email me at Texasstampin@aol.com to register for this class. Prepayment is required so I can order supplies properly. Many thanks to Jan Tink for her inspiration and sharing her ideas!